Good News on Casting Hub/CastHub Refunds? 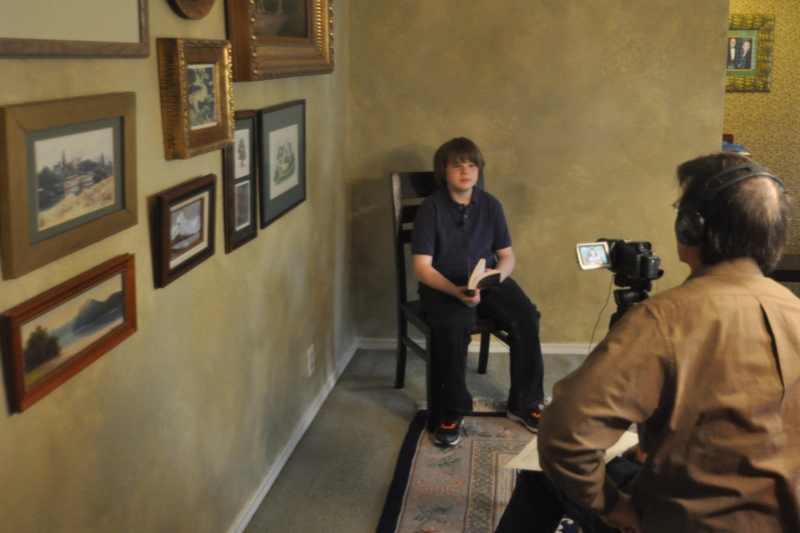 My 12-year-old grandson taping an audition in my dining room. His agent arranged the audition, reviewed the tape, and sent it to the casting director. He got a callback, and auditioned live for the director earlier this week. I did not pay anyone to “market” him to his agent, a casting director, or the film’s director or production company. I’ve written often about Casting Hub and its cousins, and I’ve now heard from several hundred families who have had positive and negative experiences with them. At least once a week for the past year, I’ve heard from someone who tried (but failed) to get a refund after signing a contract and writing a check or using a credit card. “Hi Deb, I just wanted to let you know that I just received a notice of refund from Casting Hub/hub cast. Thank you for letting me know I was not alone. “I took your advice and tried not to be threatening when they told me they would not give me a refund. I think they knew I was going to be a pain that they did not want to deal with when I told them that not giving me a refund was unacceptable and would result in numerous actions by me as I am retired (and have plenty of time to take any and all actions) and I’m not going to let this go. The advice referred to in the email above wasn’t actually from me — it was from another blog reader who saw a comment on the blog and offered their experience in successfully getting a refund from the company. “Abigail, I apologize if you believe that I am making threats or am committed to defame Cast Hub / Casting Hub. As a company with such a high reputation, you must already know that it takes consistent positive experiences to continue to maintain an earned reputation. You must certainly also know that you cannot censor the negative experiences when they do occur. I am not threatening to defame or destroy Cast Hub; I am merely reminding you that I truly understand the potential of sharing the experience that I am currently having with you. People who are on the fence and said ‘no’ once on the phone only to immediately be offered a ‘sponsorship’ should have the possibility to fully understand the consequences before they return for the callback audition Sunday morning. “Similarly, the testimonial is going to be perceived differently if those who hear my experience are able to perceive that there is an honest and respectful company behind the sales pitch. So far, in my experience, I promise there is nothing in this conversation or in the sales pitch, up to this point, that will allow anyone to conclude that they can trust doing business with you. This is not a threat; it is merely a valid analysis. I’m sure you’d prefer for people to discover that you’re honest and that you really care about your customers. “It appears that according to the sponsorship agreement, that I also signed, that we may revoke the sponsorship at any point in time. So, why can’t we revoke the sponsorship and re-enable the cancellation portion of the contract? It seems like an easy way to help both of us out. “Thanks for working this out with me, Abigail. “So, be consistent, be clear, and be objective. You may be able to work something out with them. When you are communicating with a company that you believe has treated you unfairly (or even committed a fraud), it’s easy to let anger take over. When it happens to me, I have to carefully watch what I say or write, because I am all too aware of the invisible line I can’t afford to cross. That’s the line between stating my case and outlining the situation in a forceful manner and making a statement that could wind up costing me even more than I’ve already lost. On the subject of suing to get a refund, unless you are an attorney yourself or the amount you paid falls within your state’s guidelines for small claims court, suing may not be worthwhile. Suing can cost far more than you’d think possible — I’ve heard of lawyers estimating the cost for this kind of lawsuit at between $15 and $30,000. I have not heard of an attorney willing on to take one of these online networking sites on a “contingent fee” basis (that is, at no cost to the family suing, unless the family wins, and the lawyer takes a percentage of the amount they win). “But it’s the principle!” I agree that it would be nice if there were no companies preying on children’s dreams, and I wish I could stop them. But I can’t afford to be the person who puts a lawyer’s kid through college by filing a lawsuit based on a principle. I’ve got three grandchildren who still need to get to college. Here are some links that every parent should see before deciding whether to pay money to Casting Hub, Cast Hub, CastHub.tv, Actors, Models and Talent for Christ and similar services that provide talent with a program or website designed to help them get an agent and/or auditions. If you’ve already paid one of the services, these links show that you’re hardly alone — and may offer tips on getting your money’s worth from the service you have purchased. If you have not paid money to a service, make sure to scroll to the bottom of the company’s home page and read the fine print — or click on the “about us” tab if there is one and read the company’s description of itself. There is usually gap between what people think they’re paying for and the legal description the company puts online. The first article in this list is from the wonderful BizParentz Foundation — if you have a child who wants to be an actor, their website is the “first port of call” in your search for how to help them. The second is from the Screen Actors Guild (SAG), the actor’s union. The rest are from parents and bloggers (including this blog) that have written on the subject. How does a parent spot an acting scam? Gallery | This entry was posted in Acting & Circus and tagged acting scams, Actors Models and Talent for Christ, CastHub, Casthub.tv, Casting Hub, how to get a refund from Casting Hub. Bookmark the permalink. 5 Responses to Good News on Casting Hub/CastHub Refunds? I’m contacted cast hub, I paid them 2800. They sponsored me for 3100. I signed the contract Sunday April 13, at which time there was no black and white in front of me. Second they email me the contract on the 15 late evening. Since Monday I was having problems with their websites. Called customer service over 20 times and was directed to send an email. Finally I received a response Se and they are refusing to refund me because I signed a cancelation waiver. I have heard from other families who were told that because they were “sponsored” for part of the fee, they had given up their right to cancel. However, I have also heard that families did get at least a partial refund after they politely told the company that (a) they couldn’t be bound by a clause that wasn’t in the paperwork they had in front of them when they initially paid their fee and (b) they would not have signed a contract with a no-cancellation fee had they understood that accepting a “sponsorship” that cost the company nothing (it’s just a discounted price to them — you still paid the full amount of the fee you were asked to pay) means they couldn’t cancel. It’s a shame that parents feel that their kids are especially talented so that they qualify for a “sponsorship” from the company, only to find out that the discounted fees come with a no-cancellation, no refunds clause. We all want to feel as if our children are special, and I think that it makes it harder to say no when a sales pitch is couched in terms of a “sponsorship” for a talented child we love! All I can say is that if you feel that you were misled, or you simply no longer want the service, be persistent with your calls and emails, and try your best to get them to change their minds. I wish you luck! Hey! Thanks for sharing the email I sent to them and my advice (even broader than just as a comment) =). Like you said, this is a useful approach no matter who is on the receiving end; I’m happy to hear that others are able to use it to help them communicate more clearly. Hi, I recently fell for this same about two weeks ago. I signed my contract on April 4, 2014. Do you think I can get my money back if I email the COO? It’s been a little over a week. I can’t predict whether or not you’ll succeed, but it’s worth trying the suggestions outlined in the blog post on which you commented. I am not a lawyer, and I have no personal experience with this company, so I am relying on what others have reported. I wish you success, and hope you’ll let me know how it comes out.